This post is a collection of code used to compare accuracy of Kallisto and STAR/featureCounts in my previous post. Run skewer to quality trim the data. Run bfc to correct errors. Run STAR aligner to align reads to human genome in single end mode. One of the most interesting developments in RNA-seq informatics in the past year or so is the evolution of so-called "lightweight" analysis. Instead of trying to map a whole read to the reference exons, it may be quicker and just as accurate to simply compare the k-mer content of the read and reference. If the read and reference share enough unique kmers, then the aligner can stop analysing that read and can move on the the next one. It turns out that the speed-up with this approach is huge, when compared with previous methods. Kallisto especially appears to have some speed advantages over competitors such as Sailfish, Salmon, eXpress, etc. For those interested in learning more, please refer to the Kallisto pre-print in arXiv, as well as the following blog posts. Ribosomal RNA (rRNA) is very abundant in cells (~80% of total RNA), so it is useful to deplete rRNA when doing genomewide assays to have sufficient coverage of other genes including protein coding and non-protein coding genes. There are two major strategies for achieving rRNA removal, being (1) poly A enrichment and (2) rRNA depletion. 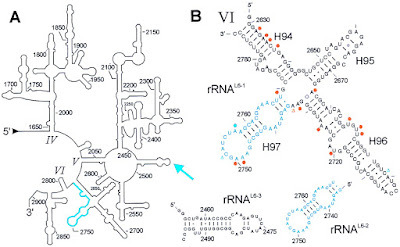 Poly A enrichment uses an oligo dT coupled magnetic bead to "pull-out" RNA molecules with a polyA tag, a common feature of protein coding transcripts. rRNA depletion can be achieved using kits such as Ribo-Zero (Illumina), Ribo-Minus (LifeTech) and NEBNext® rRNA Depletion Kit (NEB). These kits contain oligonucleotide probes that either hybridize and immobilise the rRNA or hybridize and degrade the unwanted rRNA.